While not a heavy-duty pen collector, I knew I had to have the VP after seeing another member’s. This pen necessarily has quite a heavy barrel, but I like that, plus I was fascinated by the mechanism, as well as the history of this pen – it being virtually unchanged since its arrival in the mid 1960s. Here it is stripped down. 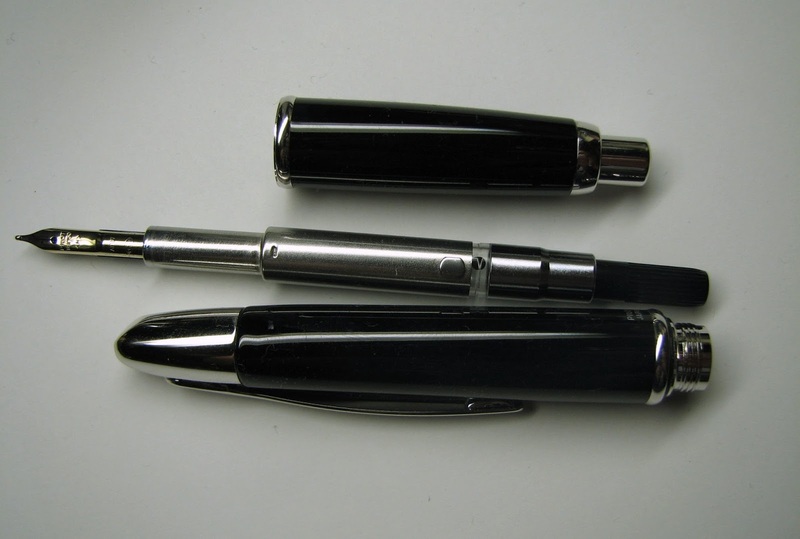 Really it's just a very thin fountain pen, enclosed in a retractable body. And yes, there's a little hatch that closes behind the nib to prevent it drying out.